His unique sound, originality, gospel roots combined with the amazing ability to write great songs (beyond his years of experience), makes Chris one of the hottest new talents to emerge in recent years. Chris also has a natural vocal ability; range, and control – that has a quality that’s usually not heard of from a Jamaican artist…at least not in a very long time, he making some impressive noise in musical circles all over the Globe. 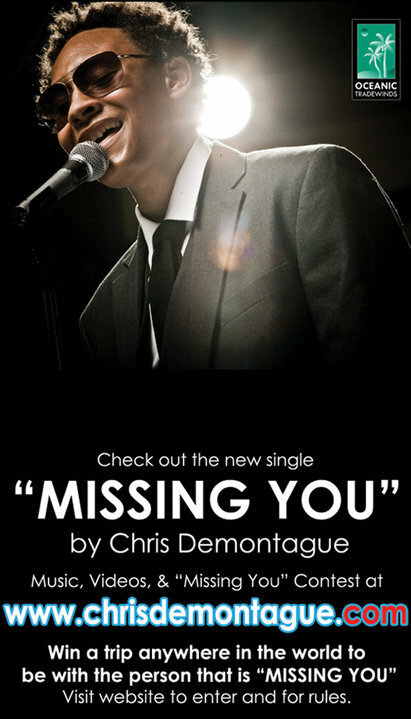 Chris has been penned by many as a modern-day version of Sam Cooke, fueled by influences of Ray Charles, Otis Redding, and R. Kelly. 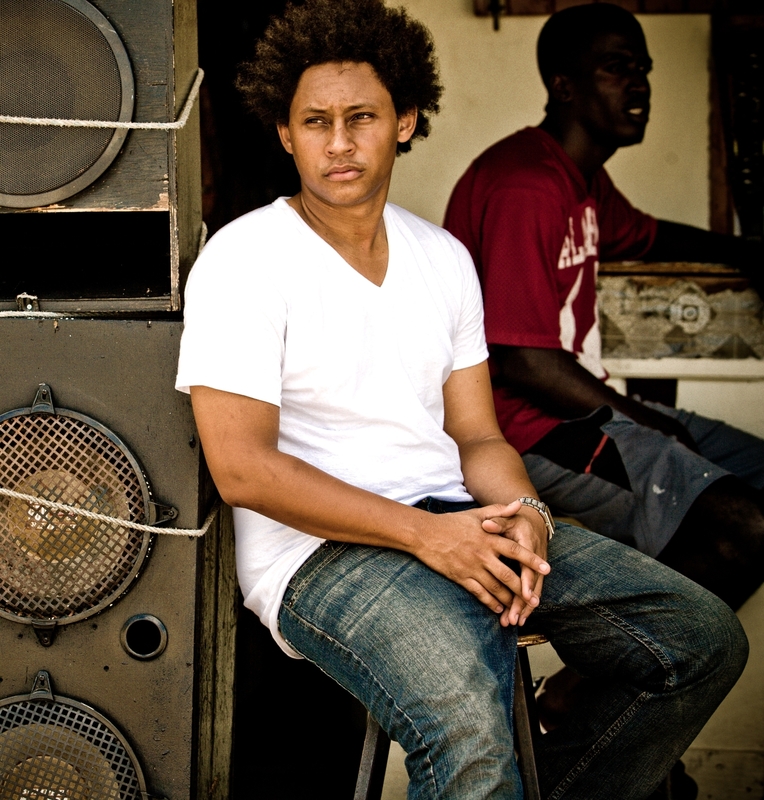 The music being produced is a powerful, memorable and interesting fusion of Pop, Reggae, and Soul. Quoting Cirocco, music producer and author of the best selling music industry bible ‘Music Powers’ — “Demontague’s voice is distinctive to the point that it matters”. Chris has impressed some of radio’s noteworthy tastemakers. Miami’s WEDR — Lorenzo “ Ice Tea” Thomas asked Chris to perform at the Jamaican Jumpoff, and Ice co-signed for Chris Demontague as being one of the real up-and-coming future stars. Also discovering Chris are the nationally syndicated radio hosts The Baka Boyz, who will soon be debuting one of his tracks on radio all across America. Chris recently performed at the International Soul Music Summit in Atlanta, and the Executive Director and Founder of the event Terry Bello, says, “I had over 150 artists, and 2500 people from all over the globe attending my event – and it was Chris Demontague that had the whole convention buzzing.” Terry continues, “People from London, Japan, and here in the USA ran up to me asking who is that young guy from Jamaica that sounded a little like Sam Cooke…but even better and hipper”. I watched the Missing you video!!!! WOW! This guy is the next big star without a doubt. Cant wait till some CD’s hit the shelves. Chris is hot. He is very talented. Chris is brilliant. What a talented, intelligent artist. This is a brilliant songwriter and singer. All the best to you Chris. Can’t wait until your international music hits the world. Pure talent! A world artist. Love Missing You and remake of Tevin Campbell song “Can we Talk for a Minute”. Chris sings it well in reggae, would love to hear him sing it in soul. The artist is international. World class artist. Big up Chris Demontague! Love to see more of him. Chris can sing, and he is also a songwriter. Double talent! Can’t wait to buy his album. What a talent. Bwoy him good! Love these 2 tunes, there should be more good music like this on the radio stations. Talent… Talent…. Can’t wait to hear this artist over the airwaves.